Samsung Galaxy S3 Mini was announced in October 2012 and released in November 2012, a compact version of the flagship smartphone, the Galaxy S3. The Galaxy S3 Mini brings the high performance, intuitive ease-of-use and nature-inspired design of the Galaxy S3 to an elegant, compact smartphone with a 4.0-inch screen. 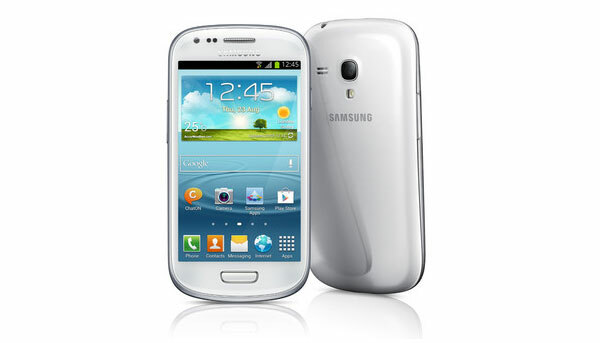 Described as a “compact version” of the S3, the Galaxy S3 Mini runs Android 4.1 Jelly Bean and Samsung’s TouchWiz interface. Samsung Galaxy S3 Mini Specifications include a 1GHz dual-core CPU, a 4-inch WVGA (800×480) SuperAMOLED display and a 5MP rear camera, along with 8 or 16GB of internal storage and microSD support. The Samsung Galaxy S3 Mini is packed with intelligent technology designed to make interacting with the phone incredibly natural and intuitive. S Voice, Samsung’s advanced natural language recognition software, means your voice can be used to unlock the phone with simple customised commands. Your voice can also play a favourite song, turn the volume up or down, organise your daily schedule, or automatically launch the camera and start taking photos. The Galaxy S3 Mini also understands human gestures to make using the phone easier and more natural. With Smart Stay, the phone’s camera tracks a person’s eyes and keeps the screen lit as long as they are looking at it. When reading a text message from a friend or family member, Direct Call allows customers to automatically call that person simply from the motion of lifting the phone to their ear; and Smart Alert conveniently alerts people to missed calls or messages as soon as the phone is picked up. Content sharing is easy and fast on the Samsung Galaxy S3 Mini. Its S Beam feature allows a 10MB music file to be shared in just two seconds by simply tapping on another S Beam-enabled device, such as the Galaxy S3 or Galaxy Note II, even without a Wi-Fi or cellular signal. The Buddy Photo Share function also allows photos to be easily and simultaneously shared with friends pictured in an image directly from the camera or the photo gallery.